Thanks to B&B Farms for a speedy ice removal. Curling Season is over and we thank the community for a great year. Looking forward to the next! Everyone enjoy a wonderful summer and check back in the fall when the 2019/2020 Season begins. 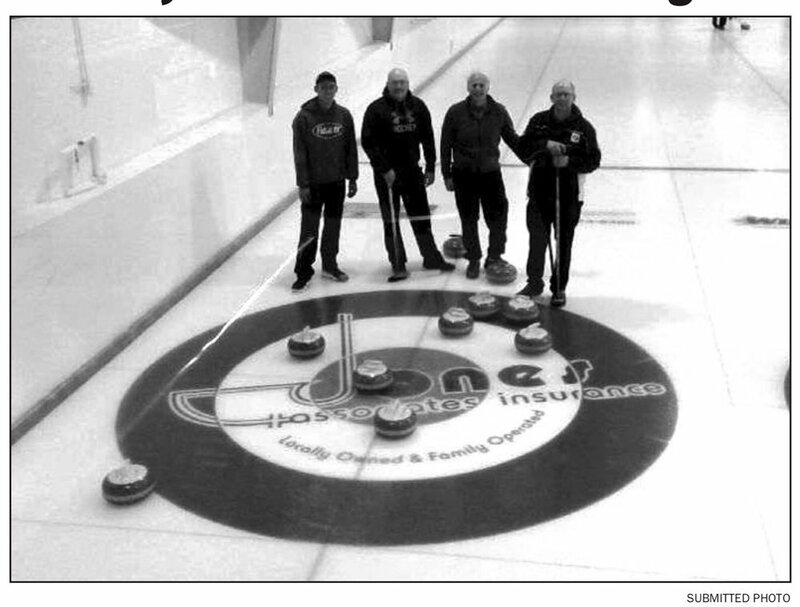 The team skipped by Willem Vellinga, Todd Siciliano third, Dan Breukelman second and Jonathon Vellinga lead, who was subbing for regular lead Jim Mauro, managed to score a perfect end during a Thursday night Men’s League game at Kakabeka Curling Club. THUNDER BAY – Fresh off a successful Pinty's Grand Slam of Curling Tour Challenge event last November, the city's curling community is now strongly considering a bid on the 2021 Scotties Tournament of Hearts. Winner, Winner Chicken…..I mean Turkey Dinner! Congratulations Josh Ladouceur, the winner of the 5th Annual Turkey Toss. This event wrapped up another great season for the Little Rocks and Juniors. Here’s an opportunity for young curler’s age 14 and under to participate in an event that introduces players to competition and promotes skill building and development. Teams can be of any skill level and any combination of boys and girls. Food, Prizes and Fun! $200 team entry which includes a steak dinner. For more info check out the event section. Shout out to Sleeping Giant Brewery Company and their #CraftCares movement! Between January 1st and February 14th, for every Sleeping Giant Brewery beer sold, 50 cents was donated to a local charity. Kakabeka Curling Club chose to donate to the Northern Cancer Fund and sold 457 beer in the six week period, raising $228.50 on behalf of the club. A big thank you goes out to the SGBC for including us on this great initiative that directly benefits our community. Congratulations to Kakabeka’s ‘s Team Burgess. This past weekend the boys were undefeated in their games against the Riches and Bazylewski Teams, both from Fort Frances, to secure a spot in the upcoming event. The boys will play in the U18 Provincial Championships March 6-10, 2019, in Fort Frances. Congratulations to the Rietdijk Family! They were the lucky winners of the Family Day photo Contest, presented by Northern Ontario Curling Association (NOCA). The prize was 2 tickets to anywhere Bearskin Airlines flies. The 2019-20 curling season will see Tuesday nights become a Family Curling League. First, being from Oct-Dec (9 weeks) and second Jan-March (9-10 weeks). It will be an 8 team league, 6 end games only— the team can be made up of moms, dads, kids, uncles, cousins, aunts, grandparents, etc. Sign up will be on the bar at the curling club and price per team will be determined soon (very affordable). This a great way to have some family fun, learn to curl in a easy-going environment. 6 Teams have already signed up! Tell your friends, the more the merrier! !